I wanted to write an article, but a totally different material came out…. The outcome is what you can read below. At that, referring to this discovery, it’s impossible to omit such a Light personality as Imhotep who was surely a talented engineer in addition to his numerous merits in spiritual evolution of humanity. I wish there were more engineers of such level on this planet. It should further be mentioned that when civil engineer Robert Bauval got engaged in Ancient Egypt and starry sky studies some Egyptologists told him, “What do you need this for? You are a decent constructor and civil engineer with high earnings. Go on building and don’t meddle in the issues of antiquity.” I believe we are very lucky he didn’t take those advices into account. “It was early November 1983 and, as is usual at that time of year, the night skies in central Saudi Arabia were remarkably clear. This was the time of weekend camping by expatriates in Riyadh in the golden dunes about twenty kilometres outside the sprawling western suburbs of this sedate city. My wife, Michele, had packed the usual gear: alcohol-free beer, plenty of drinking water, food and the sleeping-bags. My daughter, Candice, was only four years old, but already a seasoned desert traveller. Two other couples with their children joined us. The idea was to select a high dune so that the kids could play on the clean, golden-coloured sand while the adults relaxed over hot coffee and an elaborate barbecue. We were all looking forward to escaping from the hard work and no play mood of Riyadh and the stifling atmosphere of a deeply Islamic society. Night on the dunes can be very beautiful. Immediately after the spectacular display of the setting sun came the darkness, with the canopy of a star-spangled sky almost at arm's length. Lying in my sleeping-bag, I counted the stars until I fell asleep. For some reason I woke up at 3 a.m., perhaps subconsciously motivated. Once more I gazed up, at first unsure of where I was. High in the southern sky, arching over and almost marking for us the curve of the celestial equator, was a luminous band of light, resplendent against the inky black of space. It was the Milky Way and it looked like a great river in the sky. On its west 'bank' was a spatter of beautiful stars, brighter than all the others which surrounded them. I recognised them immediately as the constellation of Orion and went to wake up my friend Jean-Pierre, who shared my interest in astronomy and whose passion for sailing had necessitated his learning to navigate using the stars. Silently, he came with me to the edge of the dune. Looking at the very bright star now high over the horizon, he let me into one of the secrets of astronavigation. 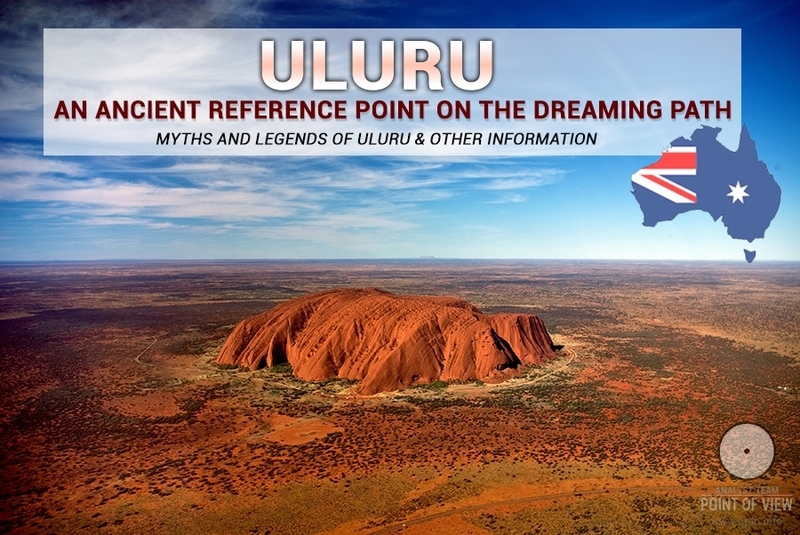 'Do you know', he asked, 'how to find the rising point of Sirius once Orion has risen?' I shrugged my shoulders in ignorance. 'Well, first,’ he said, pointing in the direction of the 'river bank', 'you must find the three stars of Orion's Belt. These three form a row and you extend the alignment downwards to the horizon. When the belt stars have risen about twenty degrees – roughly the height of an open hand at arm's length and with fingers outstretched – they will be followed by Sirius at the place on the horizon where they point.' He was now pointing towards the bright star on the horizon, which we both knew was Sirius. Then, almost as an afterthought, he uttered these words: 'Actually, the three stars of Orion's Belt are not perfectly aligned. If you look carefully you will see that the smallest of them, the one at the top, is slightly offset to the east and they are slanted in a south-westerly direction relative to the axis of the Milky Way. Also notice how...' At this point I cut him short. He gave me a puzzled look as I quoted the words I remembered only too well from the Pyramid Texts: 'The Duat has grasped the king's hand at the place where Orion is… [PT 1717]. Oh, Osiris King… Betake yourself to the Waterway… may a stairway to the Duat be set for you at the place where Orion is… [PT 1717].' By now the others had woken up and joined us. 'Je tiens l'affaire! ', (J. Lacouture, Champollion: Une Vie de Lumieres, ed. Grasset and Fasquelle, Livre de Poche 1988, pp.428, 456. Apparently shouted by Champollion on 14 September 1822 to his elder brother, when he realised that he had worked out how to decipher the Egyptian hieroglyphs. ), I cried excitedly. I had deliberately chosen the words uttered by Champollion when he realised he had decoded the secrets of Egyptian hieroglyphic writing and I hoped that someone in the group, a few of whom I had involved in the aerial photo puzzle of Giza, would catch on. From their expressions it was obvious they had not. Jean-Pierre kept on looking intensely at Orion. 'What have you seen…? ', he inquired, amused. 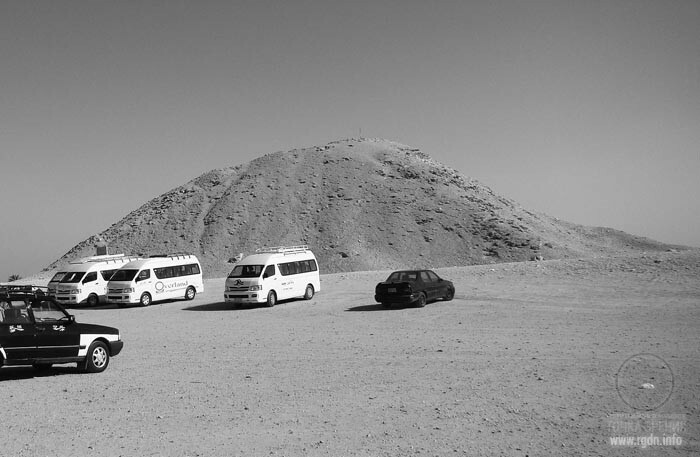 'The three pyramids of Giza', I said calmly. “Several decades later, in 1984, the American Research Centre in Egypt (ARCE) launched the Giza Plateau Mapping Project. This was to be carried out during two seasons in the period 1984 to 1986. 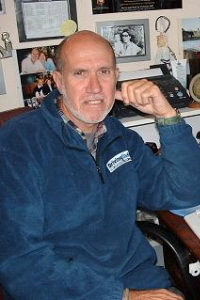 The team leader was Mark Lehner, an American-born Egyptologist from Yale University. 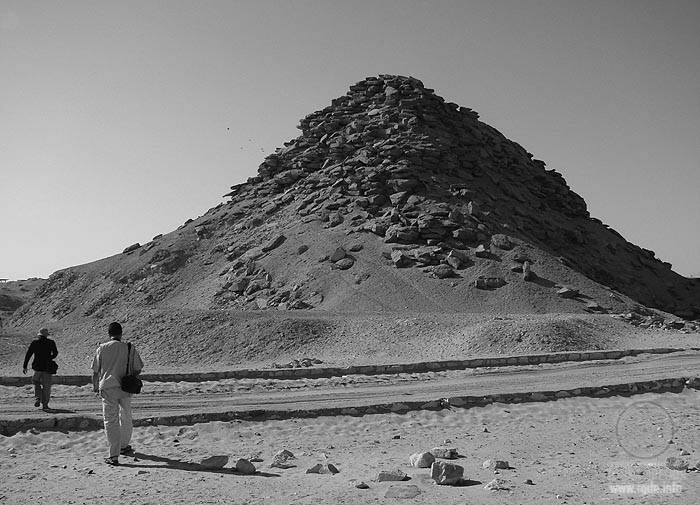 Two major reports were published in ARCE newsletters in Egypt before Lehner published his full report in a prestigious German Egyptological journal. 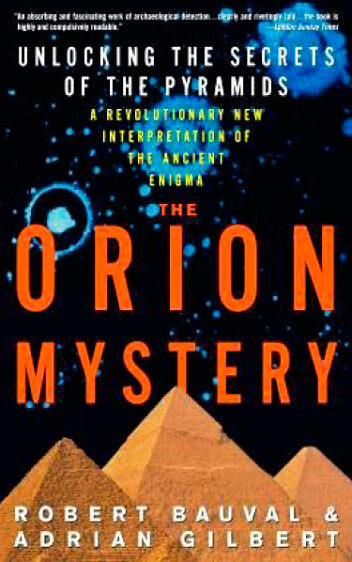 I won’t tell how the Pyramid Texts were discovered, because the discovery is described in The Orion Mystery and other sources as well. I guess one can easily find an interesting story about the jackal that showed where the Texts were. Who knows whether it’s a legend or it was so in actual fact? 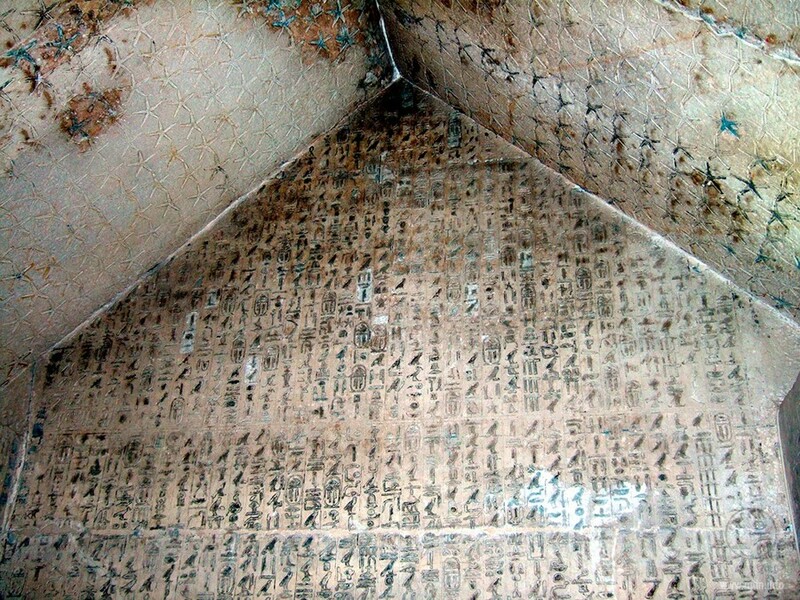 The Pyramid Texts themselves are dated to the times of the 5-6th dynasties. We shall talk about these dynasties further below. As for the Texts, I’d like to mention a rather interesting point that there appears a shady figure known to many. I do not hide the fact that this tentative translation was rather rash, and I perhaps should have waited longer; I none the less thought that Egyptologists would be more grateful to me for a quick publication rather than waiting for an in-depth study, and would therefore forgive me the errors in interpretation in favour of the importance of the texts. 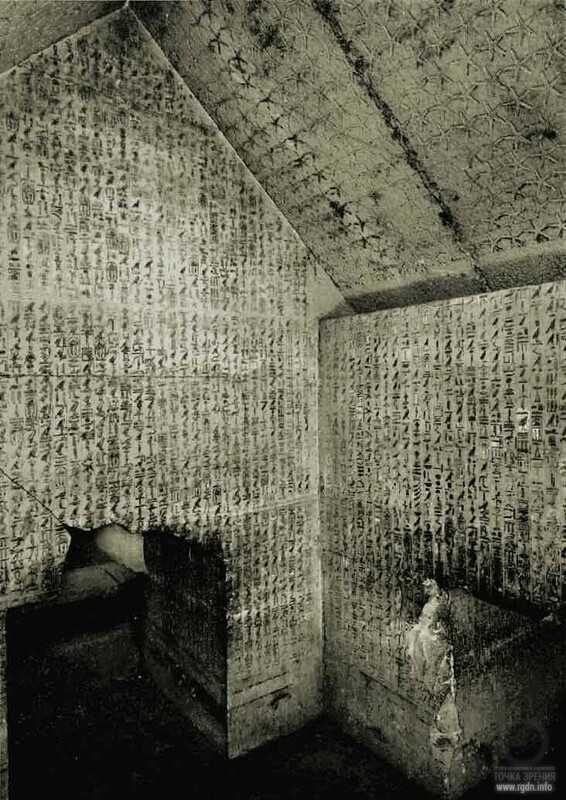 Maspero's confession proved necessary, because he was precipitate in his interpretation of the Pyramid Texts. Unfortunately a great deal of misunderstanding about them was caused not only by him but by other Egyptologists in the early part of the twentieth century. In their enthusiasm to bring out translations and commentaries, they depended as much upon gut instinct as anything else and this tended to be loaded with Christian bias. Stellar notions have doubtless descended from a more ancient day when the stellar notion was independent of the solar… it is evident that the stellar notion has been absorbed by the solar… the solar beliefs predominate so strongly that the Pyramid Texts as a whole and in the form in which they have reached us may be said to be of solar origins. Breasted (1865-1935) came from 'sedate Midwestern stock and had once planned to prepare himself for the ministry'; his interest in ancient peoples eventually drew him to the study of 'Bible lands', although he always 'retained a strong sense of mission'. He began his working life as a clerk in local drug stores, graduating in pharmacy in 1882. He then went on to study Hebrew in Chicago and moved to Yale University in 1890-1. There he was drawn to the study of Egyptology, which remained his life-long passion. In 1892 he went to Berlin and studied under the German philologist, Dr Adolf Erman. He gradually made a name for himself and attracted the attention and friendship of J. D. Rockefeller Jr., who, in 1924, gave him a grant which Breasted used in part to found the Oriental Institute at Chicago, America's first Egyptological seat. Further gifts from Rockefeller allowed Breasted to turn the Oriental Institute into the leading Egyptological institute of the New World, commanding the deep respect of scholars and students alike. With this status and academic authority, few would have dared to challenge his established views. Hence, it turns out for a long time the entire Egyptology of the New World (and not just the New World I guess, for Egyptology just like any science tends to hold on authorities) has been relying on the authority of a person sponsored by the Rockefeller clan. 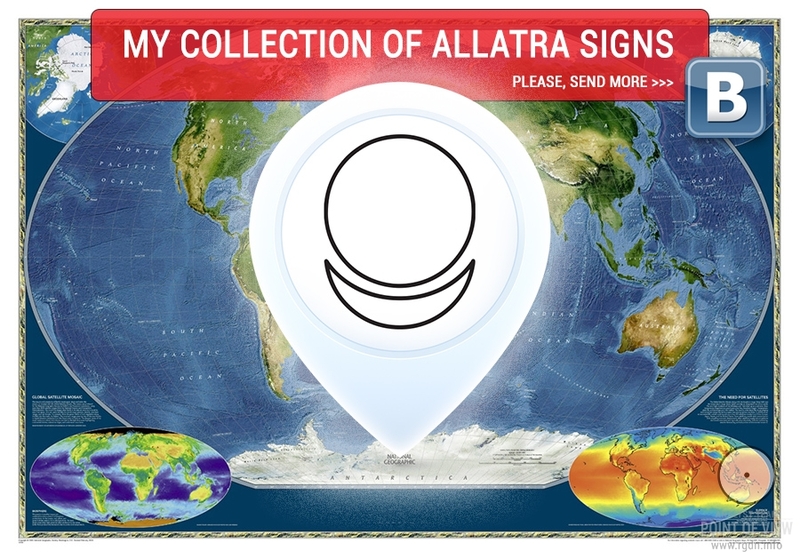 Thousands of years have passed, while Archons still basically support their own brainchild – the Ra cult. Obviously, they know and remember how owing to a single real Human they can lose power over people. I believe it is worth dwelling on this at length. Let’s refer to relevant extracts from SENSEI of Shambala (Book IV) by A. Novykh. 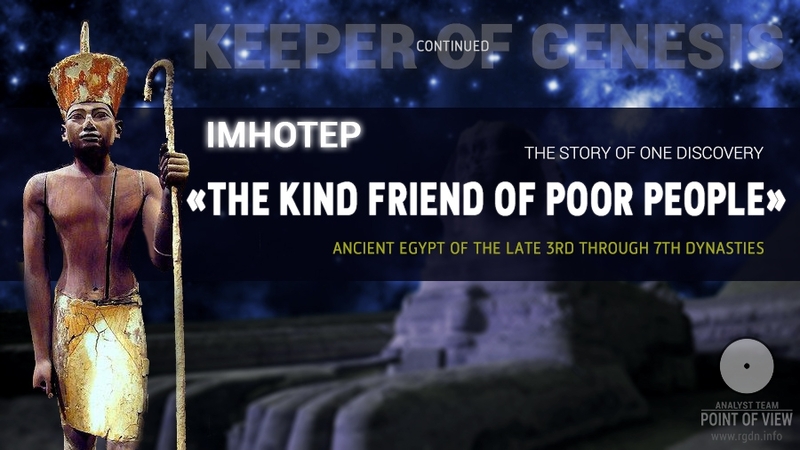 Imhotep: "The kind friend of poor people"
“For you to better estimate what this Human managed to do for people, I will tell you briefly about the situation during the reign of pharaoh Djoser before Imhotep appeared among high authorities. The head of the state was concerned with his power strengthening. He tried to reinforce his position in the north and waged a war on the southern border. He controlled copper mines on Sinai Peninsula, which belonged to his predecessors in power. By and large, he was occupied more with solving his ‘strategic’ problems than with needs of his people. His suite did the same. “Well, though priests were in power, nevertheless they paid much attention to the views of ordinary people,” Nikolai Andreevich remarked. “That’s true,” Nikolai Andreevich confirmed. Sensei just smiled and went on telling. “Generally speaking, almost everybody, starting from the pharaoh, high-ranked priests, aristocrats and nome governors, down to collectors of natural tributes, were occupied with an actual problem: where to steal something, how to capture more and to extend the sphere of one’s influence. Whereas ordinary people were mostly deprived of the authorities’ attention and left on their own; as they say, everyone survived as he or she could. Commercial activities of the country were controlled by big cities or to be more precise by those who controlled those cities. Even Memphis, which was an important handicraft and trade centre of the state with big multinational population, lived its own independent life. To cut a long story short, everything was as usual. Everyone was busy with their own problems: some had nothing for a soup, others complained about small pearls. Thus, from his forerunner Imhotep ‘inherited’ not the best situation in the country. Moreover, as a man of Knowledge he understood the reasons of what was happening around. He was aware that Egypt’s major trade routes were secretly controlled by Archons’ people, and that Archons benefited from such a situation in the country and from people’s concern about their own problems. Knowing that, Imhotep acted in a very wise way. Within a short period of time he put the country into order. First of all, he dismissed Archons’ people from power and replaced them with responsible people whom he trusted and who knew their job well. He reorganized bureaucracy and forced government officials to work. He established severe discipline among them: any theft, deceit, bribery or mercenary use of position were stopped and strictly punished. He made the pharaoh a protector of all people, grown-ups and youth. Thanks to Imhotep, fair laws were introduced, which were strictly complied with. Anyone in this state, even a poor commoner, if treated unjustly had a right not only to complain about his offender, even when the latter was high and mighty, but, saying in our language, to sue him and win the case. Imhotep formed groups that checked population’s complaints quite promptly and effectively, and if such complaints were justified, the guilty person was punished immediately. That’s why common people started calling Imhotep the ‘Kind friend of poor people’, ‘Enemy for all lawbreakers and genuine Truth-adherent’, ‘Wise Man who gives valuable advices for no reward’, ‘One who is respected by the most esteemed people’. Later on such popular epithets began to be attributed to pharaohs of subsequent dynasties. At the same time Imhotep brought the irrigation system to order. He put responsible and professional people at the head of works on canal construction and promptly solved one of the main problems for Egyptians, the problem that was a heave burden on the ‘shoulders’ of the pharaoh, namely distribution and consumption of water for both everyday and agricultural needs. In the hot dry climate of Egypt, where the average annual air temperature is about thirty-five degrees, water shortage provoked famine and public disturbances. The irrigation system had surely existed before, but it’s been in a terrible state. Yet, once it was put in order, it resulted not only in improvement of conditions of ordinary people’s life, but also in significant growth of yields. There appeared a grain excess that attracted merchants from other countries, and additional incomes emerged. The pharaoh’s treasury began to get replenished quickly (it was already in peaceful time, without wars!). Owing to Imhotep’s initiative and care, they started to open schools – the so-called ‘Houses of life’ or “Houses of Wisdom’ everywhere, and knowledge became available not only to the privileged minority. First Imhotep organized special schools at the pharaoh’s court, where he personally and his assistants taught gifted young people (usually children of government officials). They taught professions which at that point were necessary for putting the state in order, e.g. clerks, accountants, organizers of various works. Young people were taught to read, to calculate, to write, and studied other sciences and skills necessary for their professions… By the way, in those times they mostly wrote hieroglyphs on earthen crocks, leather, and limestone pieces. But it was Imhotep who introduced as writing material specially processed stems of papyrus, a marsh plant that abundantly grew on the banks of the Nile. The time and money invested in education of talented young people justified themselves to such an extent that soon Imhotep managed to achieve opening of such schools all over the country in temples, where they started to train future clerks, lawyers, physicians. Moreover, the most remarkable thing was that they began to select such talented, gifted children from ordinary families as well. And later they opened schools under some public institutions where gifted children (even from poor families) were prepared for a specific profession chosen in advance by students themselves, e.g. a sculptor, a merchant, a bricklayer, etc. At that, the more gifted and talented a young man was, the more he was initiated into more advanced sciences. Imhotep arranged it so that young people themselves were interested in obtaining solid and high-quality fundamental knowledge. Why? Because the more talented, professional and gifted a person was the more career opportunities were opened to him or her by the state, and his or her life conditions improved. The most revolutionary was that it didn’t matter to which family a person belonged (a poor or a rich one) since his or her abilities and high morality were valued above all. The ultimate outcome of such policy was that people were given a real opportunity to show their better qualities and abilities. For instance, even an ordinary clerk who had high morality and professional and organizational skills had a chance to become a governor of a city (like a royal governor) or even of a nome, that is to join the privileged class. Briefly saying, he was able to realize himself as a Personality owing to his talent. 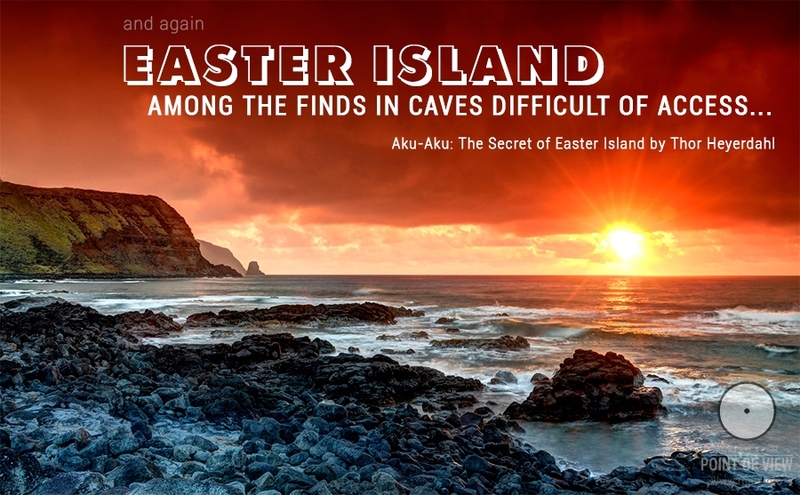 “It turns out the myth about the ‘lakes of eternal fire’ was born as long ago as in those times?” Kostya got surprised. “When pharaoh Menkaura (the Greek name Mycerinus) came to power, priests left the ‘warmest records’ of him for descendants and called him a ‘just monarch’ who ‘eased the burden’, ‘not only listened to complaints at officials, but was always ready to eliminate injustice.’ He ‘allowed open temples so that people could make sacrificial offerings to gods’. Yet, as a matter of fact, this man was a melancholic personality, already dependant on the priests of Ra. His daughter was married to a high ranking official who was a member of the Freemason secret society and later on became a priest of ‘the three obelisks’ erected in honour of Ra. Then the priests arranged it so that the pharaoh’s daughter died suddenly. Being despondent by the loss of his beloved daughter, the pharaoh became even more dependent on the Freemason priests who manipulated him. 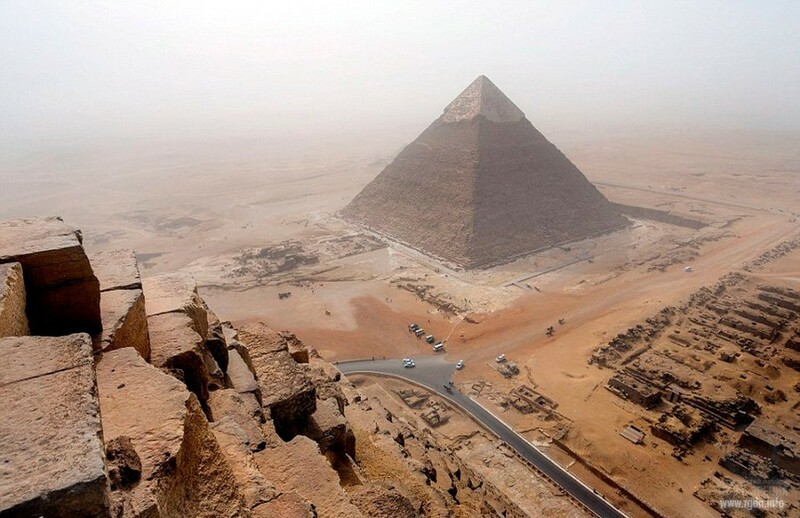 Under the reign of this pharaoh, Imhotep’s Spiritually Free Bricklayers who were left in power had a difficult time, also as to the issue of construction of the third pyramid of the Orion Belt. Nevertheless, they managed to finish the construction. While pharaoh Menkaura ruled, Archonian priests were thoroughly preparing to seize power. However, the core of Imhotep’s disciples was still strong enough and resisted them in all ways possible. Therefore after the pharaoh’s death the Archons did their best to bring to power influential people from Heliopolis, headed by the chief priest of Ra (Userkafa) who belonged to the Freemason secret society. Those people gave birth to the Fifth Dynasty and sharply cut off access to the throne for representatives of the Fourth Dynasty. These very people carried out a religious revolution in the country and provided the Archons with full access to this land. “Furthermore, along with all such changes they actively began to alter the history of the previous two hundred years when owing to Imhotep people were following a civilized way of spiritual evolution. The history was rewritten anew. Valuable scrolls of the past were eradicated, especially those written by spiritually mature persons. Other scrolls, the texts of which were quite known and popular among common people in the form of proverbs and aphorisms, were simply altered in their own manner. The original texts were destroyed, and people were given already modified copies with quotations that reoriented people to a more material worldview on the background of generally accepted moral teachings that remained. The new teachings were mostly prepared for the younger generation. At schools, particularly those located at temples, students were forced to copy such generally accepted moral sayings in writing and to learn them by heart. Such practice existed in the time of Imhotep, too, but it was more spiritually directed. “Well, Imhotep seems to have frightened them seriously by his activities!” Victor said. “Surely,” Sensei nodded. “It’s a rather serious thing when one destroys the illusion of this world and redirects people to the spiritual path, bringing them out of the Archon’s control… So, what was the end of this story? 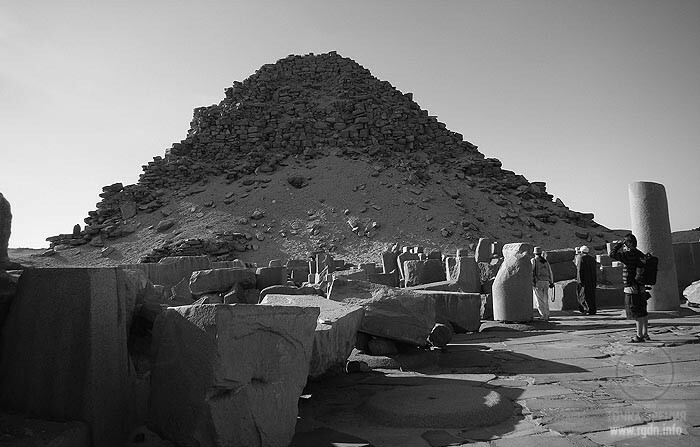 Once the Archons finally ensured their people stayed in power in Egypt, once they finished all their secret work on destruction of the Spiritually Free Bricklayers organization and Imhotep’s teaching and changed the state policy towards reorientation of the worldview of common people, they lost their interest in Egypt. Having set their ‘pillars’ in the country via Freemasons, the Archons started making profits out of devastation and people’s troubles. The Fifth Dynasty was doomed. Noble aristocrats fought for the throne, using even the most dirty political methods. Local ‘kings’ competed among themselves right up to military conflicts. Priests of the nomes benefited from such destabilization and began to gain strength, further promoting and spreading the influence of their religious cults. Consequently, the political influence of Heliopolis priests (who were simply deceived by the Archons after they had implemented their own plans with the priests’ hands) diminished considerably. Serious unrests and then riots began among ordinary people. The Sixth Dynasty that came to power attempted to bring order through the policy of military aggression, but it was similar to building a dam of thin twigs against a swiftly growing turbulent flow of dirt and water. The country was in the state of political instability. The end of the Sixth Dynasty’s reign in Egypt was marked by severe famine caused by two factors: such a policy and drastic climate changes that gave rise to a series of low floods. “It is almost as though Egypt experienced a technological exodus at the end of the Fourth Dynasty, a brain and skill drain that depleted the pharaonic state. 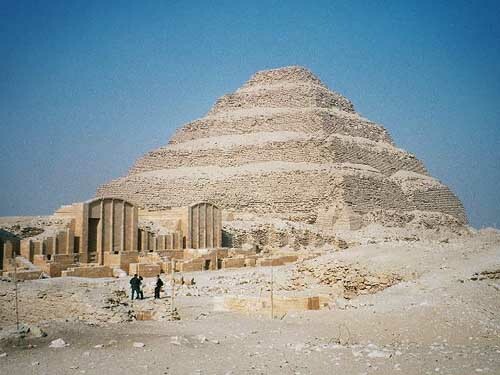 During the Fourth Dynasty, the Egyptians were supreme master builders, then suddenly, within a generation or so of their demise, there was an amazing loss of skill in the art of pyramid building. 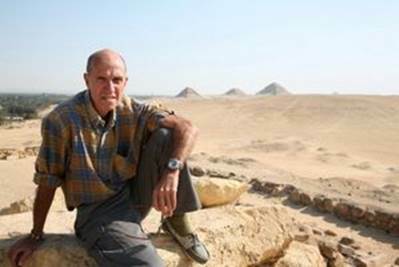 This is so pronounced that even the most conservative of architectural Egyptologists, Dr Alexander Badawy, describes the Abusir pyramids as being 'strikingly poorer than the megalithic Fourth Dynasty structures'. 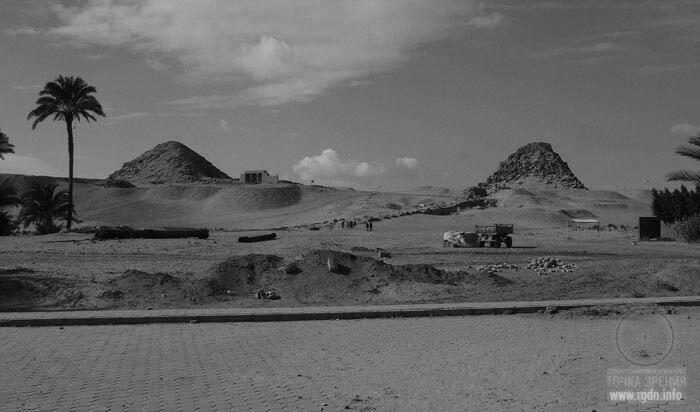 Visitors to the Abusir site are hard pressed to believe that such pitiful heaps were once geometrical pyramids. 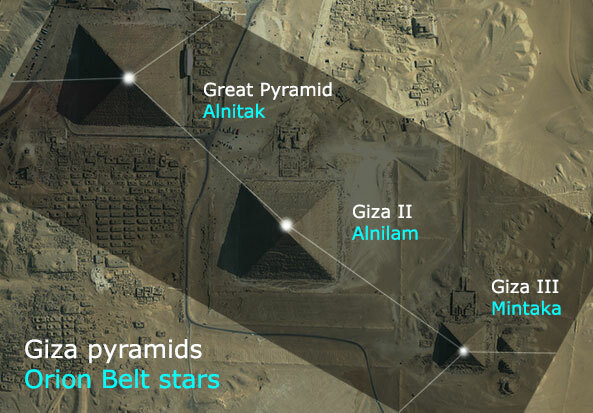 Recurring to Bauval’s discovery that the three Pyramids of Giza copy the stars of Orion’s Belt, I’d like to add the following. Bauval studied translations of extant ancient Egyptian texts, and in the very beginning of this article I cited an extract with quotes from the Pyramid Texts. However, we should understand what we now read as ancient writings and records are not the Primordial Knowledge we talk about. Those are only possible echoes of religious concepts that existed in Egypt before Imhotep as well as religious concepts maintained after Imhotep. I cited an extract about how in the times of the Fifth Dynasty the history of the previous two hundred years was eradicated, including scrolls, inscriptions and everything else that could threaten the power of priests. But, as you already know, any religion contains grains of truth, and religious concepts of Ancient Egyptian are no exception. I think Robert Bauval managed to somehow discern a small, yet very important grain in those concepts, which is important first and foremost for his contemporaries, i.e. 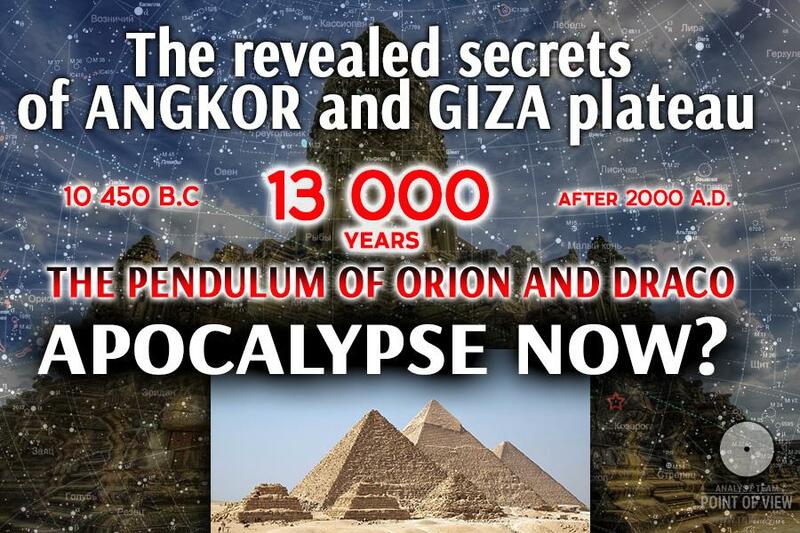 us, and owing to him we can now talk and write about the Orion-Draco pendulum, about the cyclicality of historical events and global disasters. We should thank him very much for this indeed! We are living in the unique time, in the crossroads time. Whether it’s good or not, may everyone decide for oneself. Moreover, we did not choose when and where to be born, though, who knows, maybe somebody was given such a chance. This time is unique because every human being, absolutely each and every person now, so to say, has an exclusive opportunity to access the knowledge that priests have been hiding from ordinary people for millennia. Even in the times of Imhotep hardly everyone had such a chance, because he did not let all people to his organisation. It’s only questionable whether people will be willing to familiarize themselves with the knowledge and accept what’s disclosed to us now. What will people choose: white or black, establishment of a society where CONSCIENCE is a paramount law… or the useless consumer society which has already become obsolete, for it is not living and cannot be living? Only one thing – death – is in story for such latter society.